Sweet Potatoes have never been a popular food in our home. I remember my grandmother having them during fasts. She would roast them and enjoy with black salt and a generous squeeze of lemons. Sometime back, I was reading about health benefits of the vegetables that grow under the ground. It was then that I realized how much we were missing out on the health benefits of sweet potatoes. Sweet potatoes also commonly known as yams are the nutritional powerhouses that add several important components to the diet. Sweet potatoes have high fiber content. They are rich in Vitamin E and contain high amounts of Potassium. This makes them good for heart. 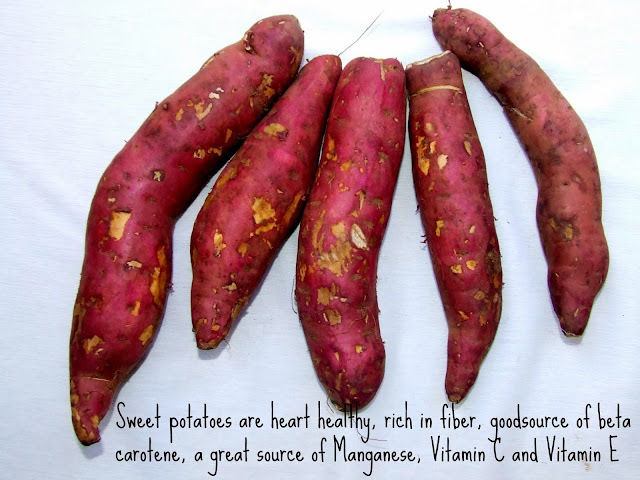 Sweet potatoes are rich in Beta-carotene, which is an important antioxidant. Sweet potatoes are rich in Manganese, Vitamin C and Vitamin E.
After garnering so much information about Sweet potatoes, the vegetable vendor was requested to deliver the fresh lot to us and he gleefully did the same day. 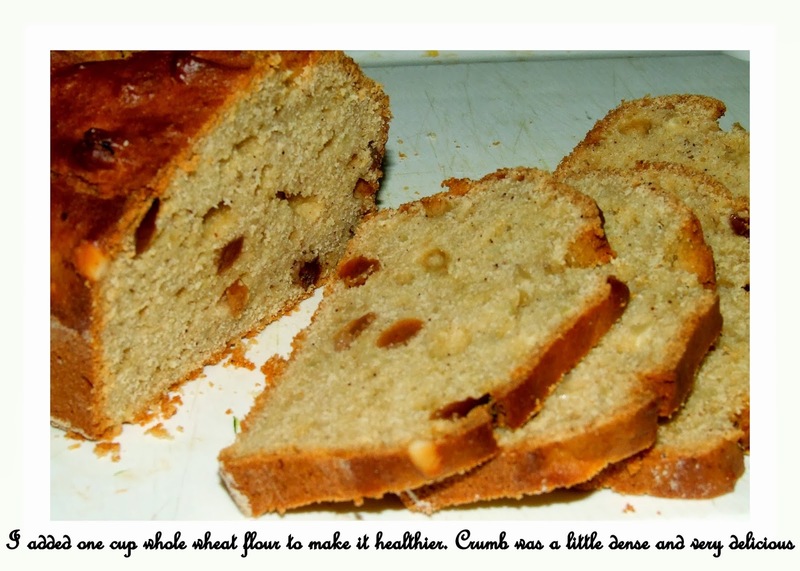 I wanted to incorporate them in baking so that the kids would eat without fuss. Last year I made Sweet potato pudding which is very easy and quick to make. 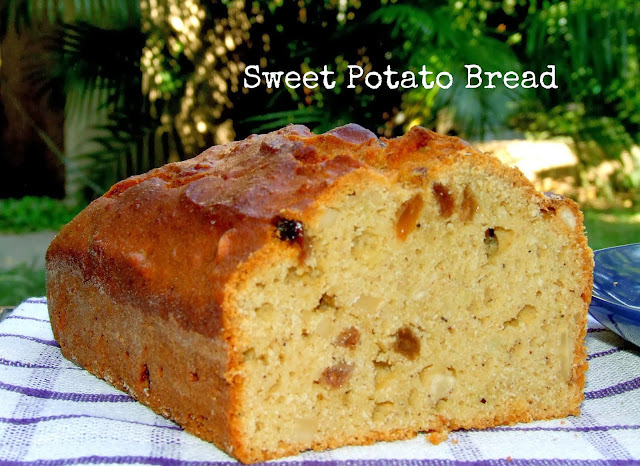 This time it was Sweet Potato Bread- soft, spicy and delicious! Grease and line one 8 x 4 inches loaf tin. Whisk flours with baking powder, salt and spices. In a bowl, beat eggs slightly; add oil, milk and sugar. Add mashed sweet potatoes and blend well. Add flour mix and stir till well combined. Fold in walnuts and raisins. Pour into the baking tin. Bake for about 1 hour 15 minutes or until a skewer inserted in the center comes out clean. Cool in the rack and store in an airtight container. Slice next day. 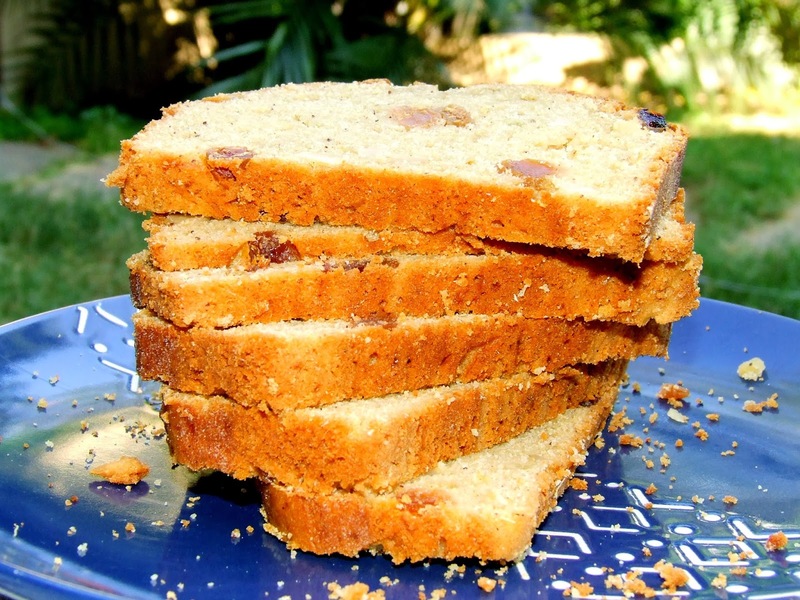 very healthy and yummy bread!!! Wow... sweet potatoes in a bread? Now, that is very interesting. I had no idea we could add in potatoes to bread flour! Lovely healthy bread Namita... I love the flavour of sweet potatoes, will try this some day.